I speak specifically from my experiences growing up in rural Ghana-- as a former beneficiary of agricultural subsidies and development initiatives, as well as one who currently carries out such programs. I believe, however, that my experiences are not unique to Ghana but rather relevant to communities and development programs world-wide. Food security and nutrition initiatives have been and continue to be taken up by a large number of development organizations. With 870 million people in the world considered hungry or malnourished this is understandable. However, when approaching such issues with agricultural subsidies it is easy to misstep if the targeted demographic is not clear, or if the appropriate means of reaching this demographic is not fully grasped. I recall a fertilizer program of which I was once a beneficiary. Bags of fertilizer were subsidized at 50% of the actual cost in an effort to support the smallest-scale farmers in the region. 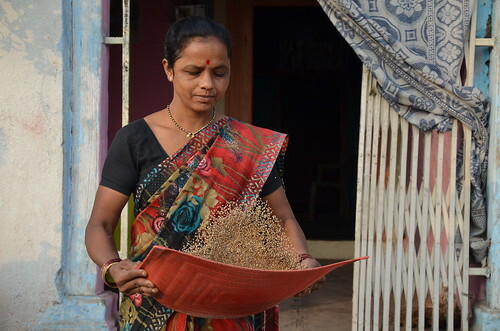 Those initiating the program estimated the average household would purchase approximately two bags of subsidized fertilizer—an estimate based on the average household income of their targeted small-scale farmers. In many cases, the farmers did purchase the projected two bags of fertilizer. In other cases, however, farmers purchased well over 100 bags. Consequently, the program’s inventory was depleted long before all of the targeted farmers were able to benefit. No parameters had been put in place to separate the targeted small-scale farmers from the region’s medium-scale farmers; and since the monitoring system used to measure the program’s progress focused more on the number of bags sold than the number of beneficiaries, the program appeared to be very successful, despite the fact that it had almost completely missed its mark. This demographic of small-scale farmers is similarly passed over when the subsidized materials are initially distributed to urban centers or regional capitals with the intention that they will later get distributed to the more rural communities by selected officials or partners. The materials, in actuality, rarely make it to their intended destination, but are instead given to the farmers living within the boundaries of or in close proximity to these urban areas. These farmers do not usually represent the targeted demographic. All of this happens entirely unbeknownst to the true small-scale farmer, because with limited access to modes of communication or transportation, they seldom know that such an initiative is even taking place. Or if they do know, they lack the means to travel to these towns to take advantage. While the intention of those providing agricultural subsidies is often noble and the subsidized materials of high quality, the impact of such a program is truly compromised when it never reaches the people for whom it was created. It is even more disheartening when such a phenomenon is never properly identified. When targeting a population for such programs, we must know that population by face and by name. We need to know how they communicate and gain access to information. We need to know by what means they travel. Otherwise, we risk the integrity of our mission.